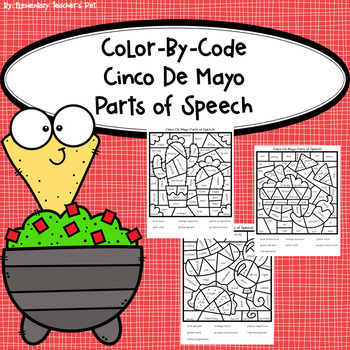 This is a set of 6 different color by code worksheets. This set has a Cinco De Mayo theme. 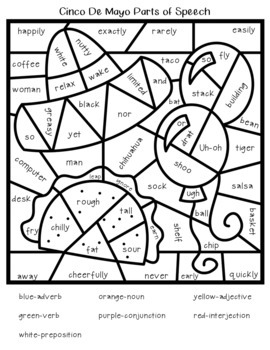 The students will use the key on the page to color the worksheet. There is a key that shows you how it should look at the end. 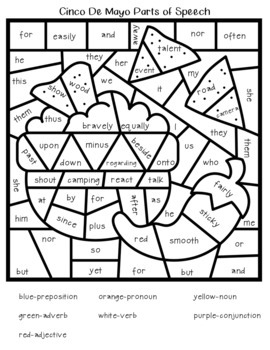 If you are looking for color-by-codes for dolch sight words you can check them out here! *Please go to your My Purchases page. Beside each purchase you'll see a provide feedback button. When you click on the link you will be taken to the product page where you can give a quick rating and leave a short comment. *Every time you leave feedback, TPT gives you feedback credits. You can use the credits to get discounts on future products. *Look for the green star next to my store logo and click it to become a follower. This allows you to be the first to know about new products and freebies.